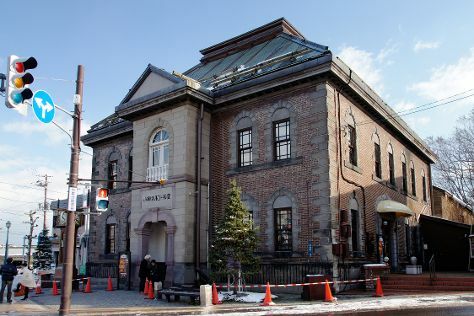 The port city of Otaru has long attracted domestic visitors, drawn in by the city's many historic buildings, and has started to garner international attention, too. The canals that work their way inland are still dotted with old warehouse buildings, now converted into leading sushi restaurants, shops, and restaurants. Music boxes and glasswork represent two major cultural exports of the city, once known primarily for its herring. Nowadays, however, the chance to see artisans at work and musicians at play stands out as a highlight of any visit to Otaru. Otaru is in Hokkaido. Plan your tour of Otaru and Japan travel itinerary using our Japan trip itinerary planning tool . Historic little Otaru brings in significant numbers of visitors every year, with its scenic old canals and relaxed bayside charm. Take a peek at the converted warehouses in the canal district for some of the most stylish accommodations in town, with boutique hotels decorated with a keen eye for detail. Standard and luxury hotels line the newer commercial streets around town, while well-kept, traditional (or traditional-looking) "ryokan" (guesthouses) sit on the older commercial thoroughfares. Budget hostels can be found throughout, offering private and shared rooms.